Sie erwerben hier 6 Stück 700mm Wischergummi/Ersatzgummi für Frontwischer oder Heckwischer. La riconosciuta qualità delle aerotwin assicura il migliore potere tergente e l'ottimale durata. COPPIA SPAZZOLE AEROTWIN. TERGICRISTALLI AEROTWIN. IL KIT E RIFERITO ALLE 2 SPAZZOLE ANTERIORI. Maggiore comfort. VALEO : 53567502, 53567504, 53567512, 579738. 8200268931, 7701061590. RENAULT CLIO 3 DE 2005 À 2012. Moteur d’essuie-glace avant pour Renault Clio III. Pour RENAULT CLIO 3 de 2005 à 2012. Moteur d’essuie-glace avant. La riconosciuta qualità delle aerotwin assicura il migliore potere tergente e l'ottimale durata. COPPIA SPAZZOLE AEROTWIN. TERGICRISTALLI AEROTWIN. IL KIT E' RIFERITO ALLE 2 SPAZZOLE ANTERIORI. Maggiore comfort. Renault : Clio 2 - Clio Campus - Espace 3 - Kangoo - Laguna 1 - Mégane 1 - Mégane Scénic - Twingo. - Pompe de lave glace. Pompe de lave-glace. Voir tableau de compatibilité véhicules. - Pour nettoyage des vitres avant et arrière. Scheibenwischerarm incl. Scheibenwischerblatt und Abdeckung für die Spritzdüse. Perfekte Wischleistung an jedem Punkt der Scheibe durch gleichmäßige Kraftverteilung und aerodynamisch optimiertes Profil. La riconosciuta qualità delle aerotwin assicura il migliore potere tergente e l'ottimale durata. 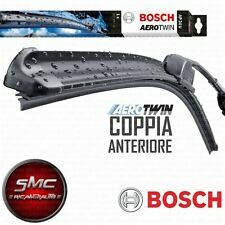 COPPIA SPAZZOLE AEROTWIN. TERGICRISTALLI AEROTWIN. IL KIT E RIFERITO ALLE 2 SPAZZOLE ANTERIORI. Perfetta azione di tergitura in ogni punto del parabrezza, per la regolare distribuzione della forze e per un profilo aerodinamico ottimizzato. Peugeot 207 / 306 (phase 2) / 307 / 308 / 3008 / Expert depuis 2007. Citroën / Peugeot: 6438AQ - 6438. AQ - 6438Y5 - 6438. Vendu par paire ( 2 x pièces ) avant droit et avant gauche. 2 x GICLEURS POUR PAR-BRISE AVANT. Kit 5 pièces pour GICLEURS LAVE GLACE AVANT ou ARRIERE. LES GICLEURS NE SONT PAS COMPRIS DANS CE KIT. The Aerotwin wipers can be easily mounted with the help of the pre-assembled universal adapter. Blade TypeAEROTWIN RETROFIT. Bosch Spark Plugs. Bosch Glow Plugs. Bosch Oxygen Sensors. BLADE TYPE:Flat Wiper. 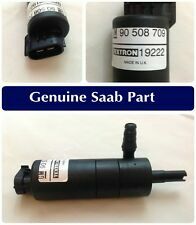 Manufacturer Part Number: 3397007640. Product Group: WIPER BLADES - AEROTWIN. BOSCH > WIPER BLADES & ACCESSORIES. Part Type: Set Of Wiper Blades. Warranty Period: Manufacturer Warranty if applicable - See Bosch website for more details. The Aerotwin wipers can be easily mounted with the help of the pre-assembled universal adapter. Bosch Spark Plugs. Bosch Glow Plugs. Bosch Oxygen Sensors. BLADE TYPE:Flat Wiper. Direct Fit. 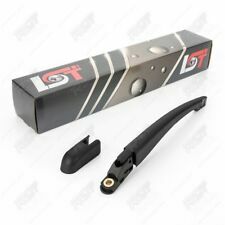 Tried-and-tested Twin dual material wiper rubber: soft rubber back for low-noise wiping and double wiper-blade edges with double micro edge for perfect cleaning. Type: Universal 12V Kit including pump 1.8 litre bag. 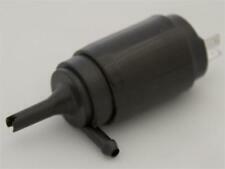 WINDSCREEN WASHER PUMP. Labour claims are never accepted. 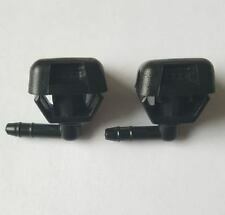 Manufacturer Part Number: 3397008057. 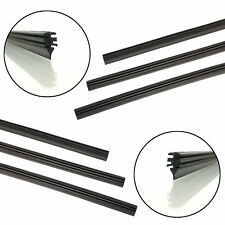 Product Group: WIPER BLADES - AEROTWIN. BOSCH > WIPER BLADES & ACCESSORIES. Part Type: Wiper Blade. Warranty Period: Manufacturer Warranty if applicable - See Bosch website for more details. Condizioni di vendita. FIAT PANDA (312) 1.3 D Multijet 4x4 2015/04 - 0/ 70 95. FIAT PANDA VAN (312) 1.3 D Multijet 4x4 2012/06 - 0/ 55 75. FIAT PANDA (312) 1.3 D Multijet 4x4 2014/06 - 0/ 59 80. FIAT PANDA (312) 1.3 D Multijet 4x4 2012/06 - 0/ 55 75. RENAULT LAGUNA I (B56_, 556_) 1.8 1995/06 - 1998/06 70 95. MITSUBISHI LANCER VI (CJ-CP_) 2.0 16V EVO 1998/08 - 2001/08 206 280. MAZDA CX-5 (KE, GH) 2.0 2011/11 - 0/ 121 165. MAZDA CX-5 (KE, GH) 2.0 AWD 2011/11 - 0/ 118 160. BMW 5 Touring (F11) 520 i 2011/09 - 0/ 135 184. BMW 5 Touring (F11) 523 i 2010/09 - 0/ 150 204. BMW 5 Touring (F11) 528 i 2011/09 - 0/ 180 245. BMW 5 Touring (F11) 528 i xDrive 2011/09 - 0/ 180 245. BMW 5 Touring (F11) 528 i 2010/09 - 0/ 190 258. TOYOTA CELICA (ST20_, AT20_) 2.0 i 16V (ST202/GT) 1993/11 - 1999/11 129 175. TOYOTA CELICA (ST20_, AT20_) 2.0 i 16V 1996/04 - 1999/11 125 170. TOYOTA CELICA (ST20_, AT20_) 1.8 i 16V (AT200/ST) 1993/11 - 1999/11 85 116. Model: Cayenne 955 & 957 ATV / SUV. 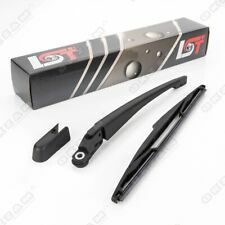 Product: Rear Window Wiper Arm & Blade. Make: Porsche. Left hand drive cars have door mirrors fitted at a slightly different angle therefore creating the chances for blind spots if fitted incorrectly. CITROËN C3 II 1.2 VTi 110 2014/10 - 0/ 81 110. CITROËN C3 II 1.4 VTi 95 2009/11 - 0/ 70 95. CITROËN C3 II 1.6 BlueHDi 75 2015/04 - 0/ 55 75. CITROËN C3 II 1.6 BlueHDi 100 2014/07 - 0/ 73 99. CITROËN C3 II 1.0 VTi 68 2012/08 - 0/ 50 68. FORD KUGA I 2.0 TDCi 2008/03 - 0/ 100 136. FORD KUGA I 2.0 TDCi 4x4 2008/03 - 0/ 100 136. FORD KUGA I 2.5 4x4 2009/03 - 0/ 147 200. FORD KUGA I 2.0 TDCi 2010/03 - 0/ 103 140. FORD KUGA I 2.0 TDCi 4x4 2010/03 - 0/ 103 140. OPEL ASTRA J Sports Tourer 1.4 2010/10 - 0/ 74 101. OPEL ASTRA J Sports Tourer 1.4 Turbo 2010/10 - 0/ 88 120. OPEL ASTRA J 1.4 2009/12 - 0/ 64 87. OPEL ASTRA J Sports Tourer 1.4 LPG 2012/01 - 0/ 103 140. RENAULT CLIO 3 DE 2005 À 2012. Moteur d’essuie-glace avant pour Renault Clio III. 3 PORTES / 5 PORTES / BREAK / ESTATE / GRANDTOUR / SOCIÉTÉ. Pour RENAULT CLIO 3 de 2005 à 2012. Phase 1 et Phase 2 : Modèles 3 Portes, 5 Portes, Estate, Grandtour, Break, Société. 2 ESSUIE GLACE AVANT TYPE AEROTWIN R RENAULT TRAFIC 2 TYPE JL FL EL 03/2001-UP. Il se montent en lieu et place de ceux d'origine. • Deux essuie-glace plats type Aerotwin 530mm 600mm. • RENAULT TRAFIC 2 Type JL FL EL à partir de 03/2001. Nissan Pathfinder. Nissan Pathfinder(R51/52) from 2005 to 2016 all models. Kit contents. 1 drivers side push rod, 1 passenger side push rod, both fitted with. IF YOUR WIPERS ARE JUDDERING ,THE ODDS ARE THE PUSH ROD BEARINGS WILL BE TOTALLY WORN OUT.THIS WILL LEAD TO THE BALL JOINTS POPPING OFF THE SOCKETS,LEAVING YOU YOU WITH NO WIPERS.